East Islip has roots extending far back into our nation’s colonial period. Summer hotels flourished into the early 1900’s, and residents engaged in boating, farming, shipping and lumbering. During World War II, aircraft and other manufacturing industries provided employment, which stimulated the growth of the building industry and provided homes for the labor force. Today, East Islip is a thriving residential community. 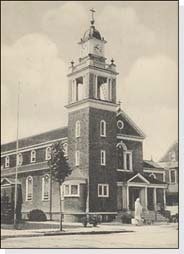 Founded in 1898, Mary’s Catholic Church was originally named St. Mary of the Assumption, and the first congregation consisted of less than 200 people. As of 2004, there were more than 6100 families in St. Mary’s. 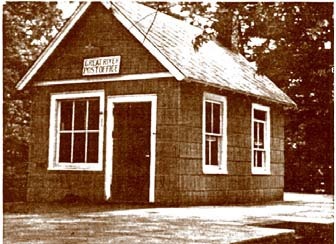 The East Islip Post Office was established on January 16, 1890, and gave East Islip its official name. 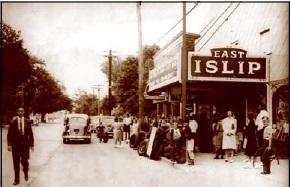 The East Islip Theatre was located on Main Street, in East Islip. The building had been remodeled to create a movie theatre, and offered affordable entertainment throughout several decades for East Islip and the surrounding communities. The longest running movie in East Islip Theatre’s history was The Blue Max, starring George Peppard, which ran for three consecutive weeks. 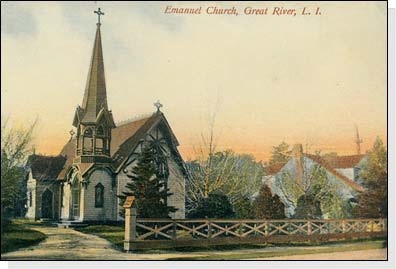 On July 23, 1873, the first service was held at the “Little Chapel”, which was officially named “Emmanuel” on October 28, 1899, and is now known as Emmanuel Episcopal Church. 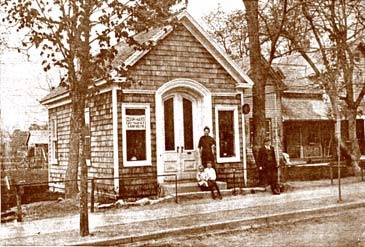 It was not until the beginning of the nineteenth century that there was a Post Office on Long Island. People had their mail brought from New York or Connecticut by trading vessels. On November 26, 1889, a Post Office was established in Great River. The Great River Depot is East Islip’s only train station. The Southside railroad came through East Islip in 1867, and by 1880 it was run by the Long Island Railroad. 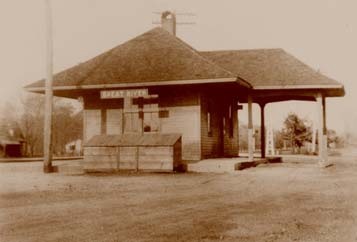 The original wooden depot (without the overhang) was built in 1897. The lean‐to shelter was moved to the East bound side in 2000, and is still standing today; it is the only known lean‐to still performing its original purpose. The land that is Islip Terrace today remained largely uninhabited during the early settlement of East Islip. In the late 1800’s, there were just a few scattered farm houses, until Andrew Wolpert Sr. and his sons arrived in 1914. Hoping to build a community where people of German origin could live and work, they were responsible for the large home development which started this community. 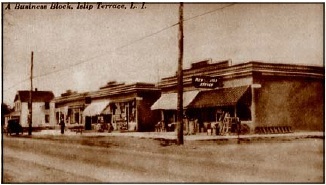 At that time, the settlement became known as Germantown, until the Post Office was established in December, 1922, and Islip Terrace became the official name. 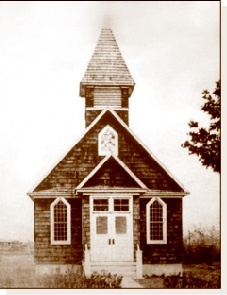 Established in 1915, Christus Evangelisch Lutherisch Kirche of Germantown, or as we know it today as Christ Lutheran Church, is an active congregation. 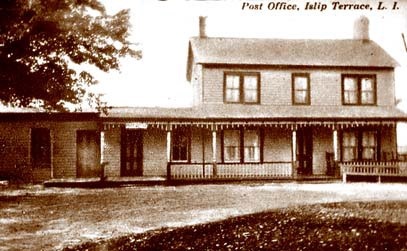 On December 16, 1922, the Islip Terrace Post Office was established. There is a story that for years after the Revolution, an old Scot named Dunbar rode a voluntary post between New York City and across the Island to Brookhaven, bringing mail and newspapers to the inhabitants once or twice a month. Corner of Richard Ave. and Carleton Ave. The Petrom Circus was located in Islip Terrace about 1914. An old hunting lodge was used for the shows. Animals were kept for the entertainment, including monkeys, trained dogs, horses and ponies. There were also tightrope acrobats, along with other performers. The community’s rich past is directly reflected by the various historic buildings and landmarks in the local area. Click on the slideshow images below to zoom and explore!